Moses Kawalya DVM, graduated from veterinary school in Uganda in 1993. He successfully completed the requirements of the Educational Commission for Foreign Veterinary Graduates in 2001 at Tuskegee University. He worked as a veterinarian in New York for 2 years before moving to Florida where he has been practicing since. He is a Diplomate of the American Board of Veterinary Practitioners (Canine and Feline Practice). Dr. Kawalya loves to work out at the gym, play tennis, and swim. He lives with his family and 2 dogs. Christina Riccio is a college junior studying Integrative Animal Biology at the University of South Florida. She is working on getting her Veterinary Technician Certification from Hillsborough Community College. She likes to travel with her boyfriend, hangout with her friends and family and cuddle with her three dogs Chi Chi, Louie and Gracie! Dawn Newell has had a strong passion for the care and well being of animals since a young age. She has volunteered and worked with animals since the age of nineteen. She has an Associate in Arts from Hillsborough Community College and is currently pursuing her Bachelors of Science in Biology degree at St. Petersburg College. In her free time she enjoys playing video games, spending time with friends and family, paper crafting, designing jewelry, and going to rock concerts. She lives with five dogs (two collies, sheltie, cocker spaniel, and shih-tzu mix), a cockatiel and a cat. Ieshia has a strong passion for caring for all animals since a young age. 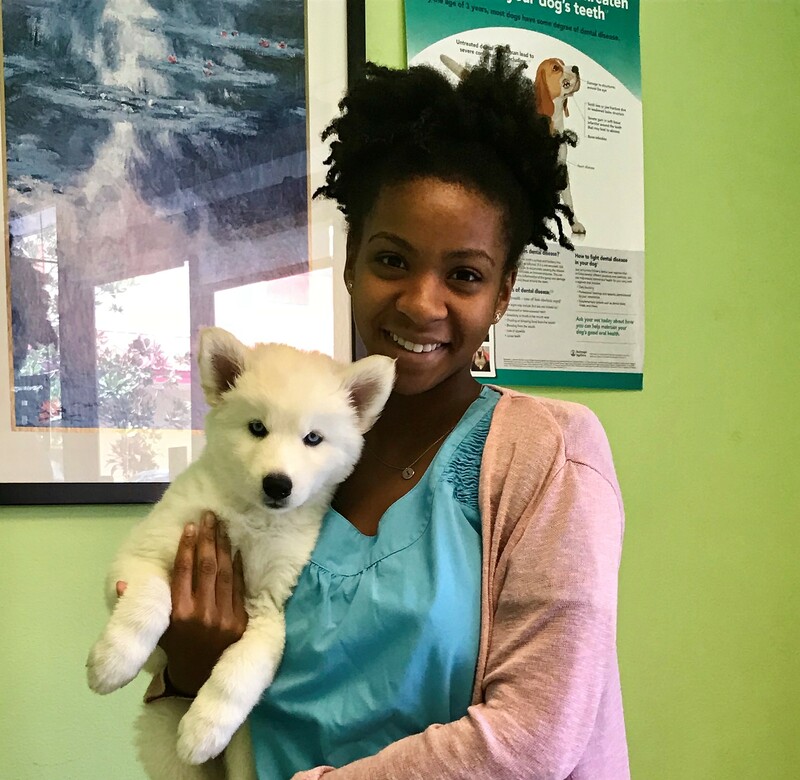 Moved from New Jersey to Tampa and loves working for Pet Point Animal Hospital. She is a college junior studying Integrative Animal Biology at the University of South Florida. She has plans to further her career into zoology/ marine sciences. In her free time she enjoys traveling, music & trying new food.